Life is never still and quiet. There are always things to keep you on your toes. 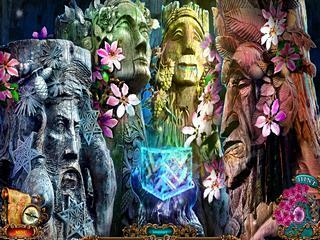 This hidden object puzzle adventure game is the same. You just can't stop finding yourself in trouble. The story of Thumbelina goes on as you need to destroy the evil plans of the queen to finally get to the happily-ever-after part. The game features three main parts of a typical HOPA. But it is not full of hidden object scenes on every corner. So that's how the story goes. The Raven queen ruins your wedding, kidnaps your prince and locks you up in a dungeon. How do you like that? Unfinished Tales: Illicit Love is a story of rescuing one's love. And that is more challenging when you are not that tall. Be careful with everyone who wants to be your ally. They might not be what they seem to be. The game is beautiful and bright as you find yourself in all those fairy tale style locations. The sounds, voices and music add a lot to that atmosphere. The game features three main parts of a typical HOPA. 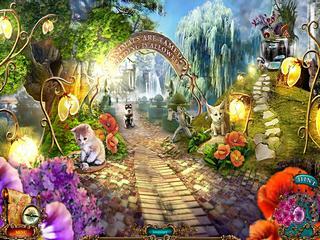 But it is not full of hidden object scenes on every corner. The game feels more like an adventure full of puzzles and some mini-games. About the mini games, they are fun to play, but do not expect something shockingly new. Most of them are same old puzzles with a new twist or look. There are some collectibles throughout the game, which makes it more engaging. All in all the game is fun and very enjoyable. It is for the time when you don't need murders on a rainy day, and rescuing fairy tale characters is enough. This is Unfinished Tales: Illicit Love review. Download this game here.